I know that I have posted about the Experiential Education trips many times on this blog, and this is another entry on that discussion. But there is going to be a huge difference between this one, and the ones that I posted previously. The trip I took this time was not accompanied by the students. It was just a small select group of teachers that went with me this time to tweak the trip we take every year. Don’t get me wrong but I really like the trip that we have designed for the tenth graders at my school, but there has always been a couple of things that seemed lacking, and I was looking for ways that we could improve the trip. 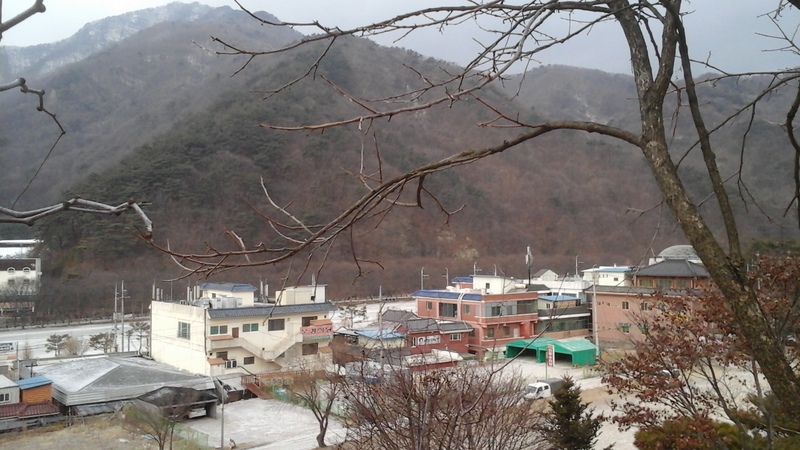 This caused me to look beyond the borders of the Boramwon camp to find what the neighborhoods in the area has to offer. It allowed me to see more of the country of South Korea and experience some more of the ways Koreans experience adventure. 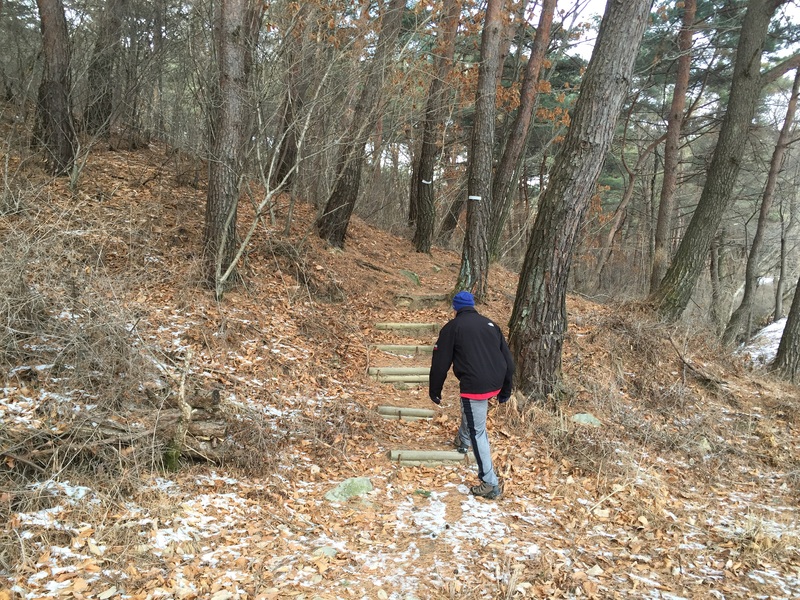 This took me to the town of Mungyeong and the national park that is close by with the same name. Even though I did not get the opportunity to explore the park, there were enough other great activities in the area that would make for the perfect retreat for those who are planning to stick around a little after the Olympics. Some of the highlights include a museum that highlights traditional Korean pottery, and will teach you how to make it, the longest zip line in Korea, and some amazing Korean bar-b-q restaurants. But the highlights of the area are not what I really want to talk about. There was something more important going on then looking at other features that the camp we take our students to does not offer. It was about never settling. This is something that I consider a lot especially in my teaching and my writing. I know as a writer there needs to be a time when I need to let things go and introduce my new project to the world. But that does not mean that I settle as being at the level of writer that I find myself at when I release that new project. Instead, it is about working towards my next project and figuring out how I can make it the best book possible. My goal is to make each proceeding book better than the last one, and that is what I mean by never settling. Teachers need to adopt this attitude as well. Too often, teachers will present the same curriculum that they have for many years, believing that they do not need to change what they have done in the past They become complacent and just let what stands stand. They do not look for ways that they can make their curriculum better, and they do not look for ways that they can become better teachers. I am not saying that all teachers do this, or even the majority of teachers, but there does exist a group of teachers that do. I do not ever wish to be one of these teachers or writers. This where this research and development trip I just took comes into play. It takes this trip that I’m really proud of, and it allows me the opportunity to make it better. There are a couple of areas with the trip that bug me about how things are not going as well as they could, and this gave me an opportunity to find way to make them work better. I believe I have found them on this trip and it makes me proud to know that next year when my sophomore students go off on their experiential education trip that they will get even more out of it then the group that went the previous year. This makes me feel that I have earned the respect that I get as a teacher because I am always looking for ways that I can improve. It makes me want to give the same challenge to everybody else out there. What is it in your life that you feel does not live up to the standard that you demand of yourself? Is it because you have not tried to improve it in a long time, and have become complacent? What research and development can you do to take that aspect of your life to the next level? How will you feel about it when you do take it to that next level? And what will you have to do to take it to the next one later? I believe if we all strive to be better than we will constantly be amazed at what we have been able to achieve.